05. Why Am I Here? 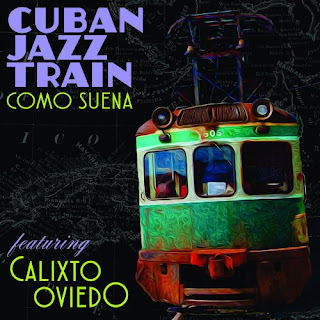 Although the foundations of Latin Jazz were consolidated in the 1940s and 50s, there is evidence that the inclusion of Afro-Cuban sounds into early Jazz dates back to the Jazz played in New Orleans at the beginning of the 20th century. To this regard, Jazz pioneer “Jelly Roll” Morton used the term “Latin Tinge” as a direct reference to the influence that the Cuban Habanera, a popular genre in the dance halls of Cuba at the end of the 19th century, had in the making of some of the local Jazz expressions that were performed in New Orleans. Along those lines, the proximity between New Orleans and Havana also allowed Cuban musicians to borrow elements from that early American Jazz, facilitating both musical styles to flow together. Whereas Jazz in the United States arose from black blues and spiritual traditions, in Cuba their black musical traditions were preserved in a religion, Santeria, henceforward, the marriage of both styles became a call and response, an improvisational approach to a music that was highly charged and interactive, something they in Cuba call “descarga”. That fond and well documented history led a group of master musicians, under the direction of Calixto Oviedo, to form the Cuban Jazz Train and revive those olden times, improvising new melodies and harmonies and danceable rhythms to generate their own “Afro-Cuban Tinge”.